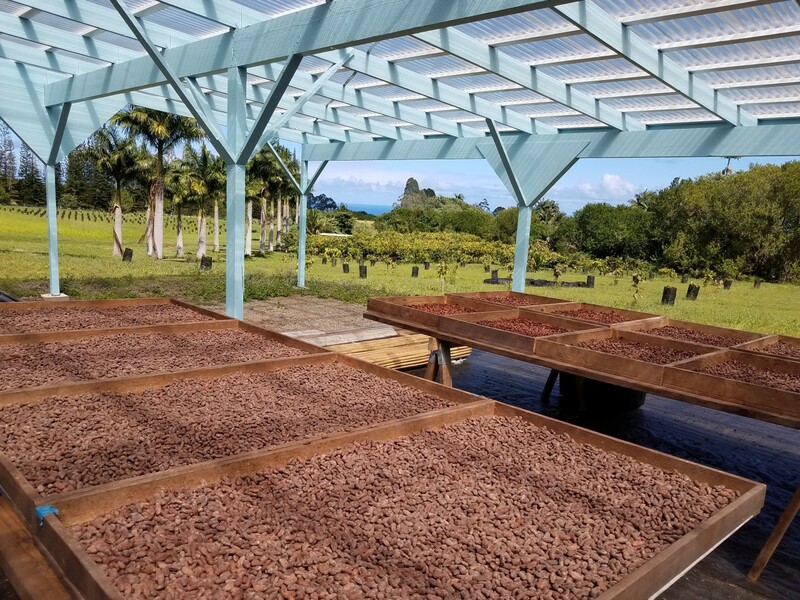 Add a "Chocolate Stop" Farm Tour to your Hamakua Coast drive. 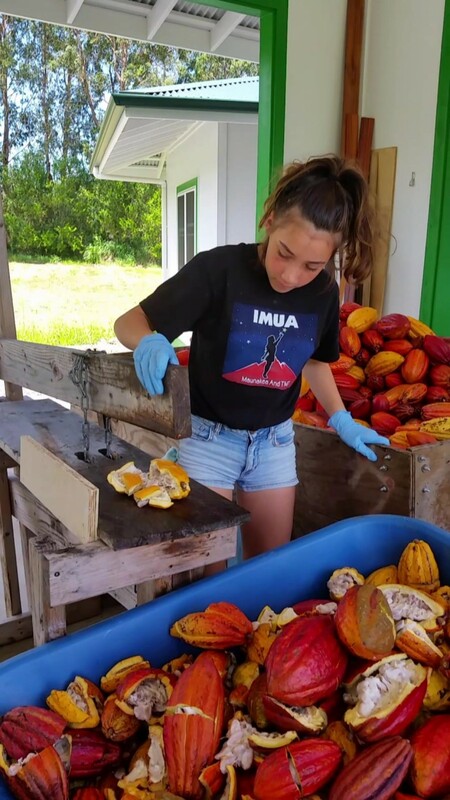 Mauna Kea Cacao is conveniently located near Pepeekeo, 1 mile off of Highway 19 between the north end of the 4-Mile Scenic Route and Akaka Falls. The farm is about a 10-minute drive from Old Town Hilo. See a working cacao farm with 1,500 cacao trees. Learn how award-winning cacao is grown, harvested, fermented and dried. Open a cacao pod and taste fresh cacao. Taste Hawaii Island's "Best Cacao" from the Big Island Chocolate Festival. Taste Mauna Kea Cacao's home-made (untempered) chocolate and commercially produced Hawaii chocolate from other bean-to-bar chocolate makers. This tour is best for people who can easily walk 1/2 mile on uneven surfaces that may be wet, muddy and/or slippery. Weather is changeable and rain may occur at any time. Tours continue during rain. Mauna Kea Cacao, LLC is a working farm. Closed-toe shoes, hats, rain jacket or umbrella, sunscreen and insect repellant are recommended. Visitors will sign a liability waiver before beginning the tour. Tour prices are $40 per adult and $15 per child (5-17 years of age, under 5 free). Hawaii tax will be added. Reserve early! Space is limited to 15 guests per tour. Reservations must be made at least 1 hour before the tour starts. Reservations may be made using the calendar on the the right (or below), which will direct you to Eventbrite ticketing for the date and time that you select. Tours are available on Thursdays at 10:00 am or 1:00 pm. Tours are fully booked on Thursdays that are not highlighted. Reservations may be cancelled no later than 1 day before the scheduled tour time to receive a refund. 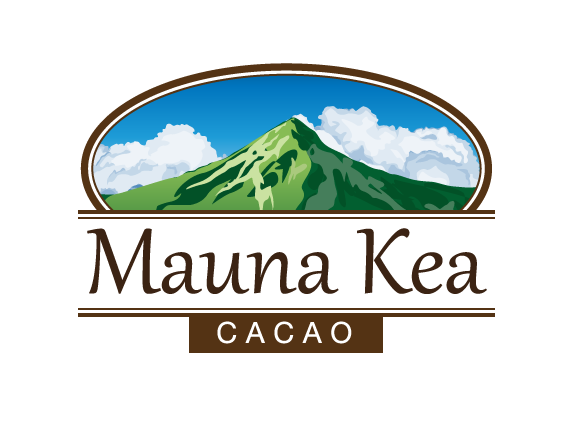 Mauna Kea Cacao, LLC reserves the right to cancel tours due to weather or other unforeseen circumstances; payment will be refunded. Private tours for four or more guests may be arranged at least one week in advance. Please request a private tour on the Contact page. Please plan to arive 15 minutes before the tour start time so that we may begin tours promptly. Directions to the farm will be emailed when reservations are confirmed.